A series of new photos, posted two different places and purporting to show the controller for Nintendo’s next console, reveal a controller without buttons, one that’s shaped like a football. Update - 10:39am, March 25: It was a hoax, as we noted it might have been. Sorry for wasting your time. Original story follows. I should be clear up-front: We have no idea whether these are the real deal. But the newest pictures, posted on Reddit today by a user named perkele37, are compelling enough to be worth sharing. “To clarify,” he writes, “this is the controller unit for the console. Dev-kit, so it’s not the final design, obviously.” He adds that the controller has “haptic feedback” and a bottom headphone jack. It kind of looks like an early version of the Vita. Or Stewie Griffin’s head. When reached for comment by Kotaku, Nintendo said, “We have nothing to announce on this topic.” The company is expected to announce its next console, which is code-named NX, during or before E3 this June. If this is indeed real, it raises more questions than answers. 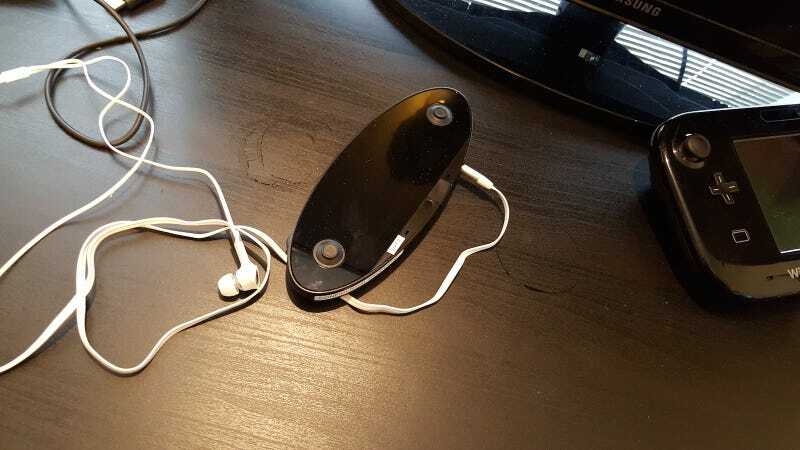 It’s long been speculated that NX will be a hybrid device that somehow blends a home console with a portable: is this controller the portable? Just part of the main console? An accessory for playing football? We’ll find out in the coming months.